We have huge admiration for the comics (and a musician) who came and performed last night to an audience of… two! (Who had a very surreal and exclusive show.) Despite the crowd being outnumbered by the performers, they put everything into it. True professionals. Thank you for what you do. We are mindful of a quote.. 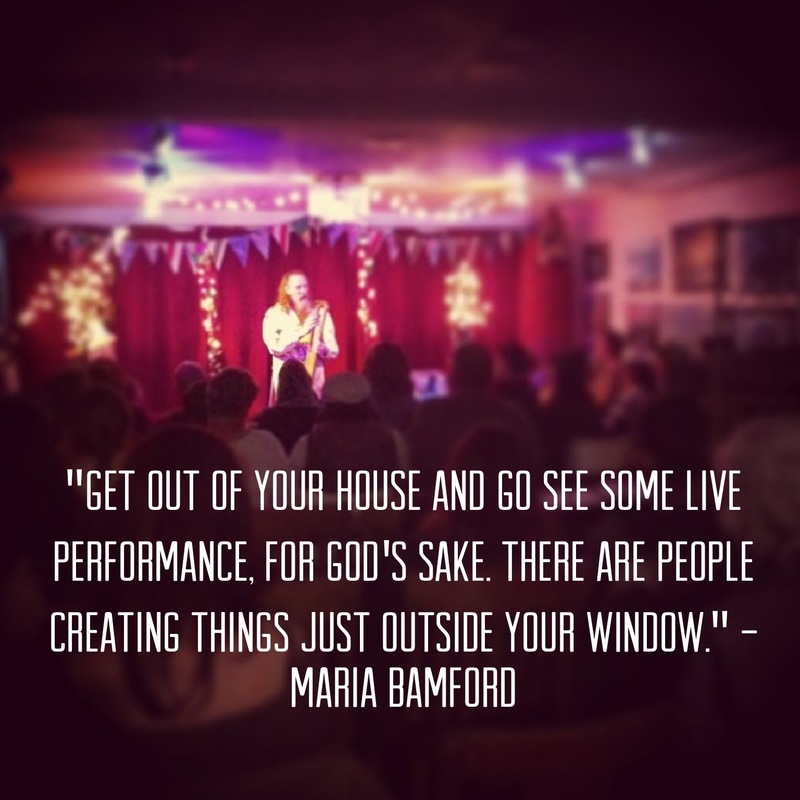 There are clearly strong motives for venues and performers to do what they do. (Making wads of cash is generally not one of them!) At the top of the list, for us at least, is a burning desire for our city to be a place of colour and distinctiveness, of mad variety and passion, from the trembling hands of a noob on stage for the first time reading one of their poems at a spoken word event, to the seasoned pro on tour visiting the city for maybe the first time, looking to grow their fan base. We have long suspected that the day when everyone realises that we have NEVER hosted a crap night and that they are almost guaranteed to have a memorable, thrilling or fulfilling evening out (whatever they come to) is a long long way in the future (or may never come.) In the meantime, we’ll keep promoting and trying to spread the word while knowing that, the minute we relax, or our event falls on a night when there’s something ‘big’ on TV, or it’s a sunny evening, our audience will drop to two! So, we want to set you a challenge: to get a piggy bank, put some change in it each day and then, on a regular basis, pick a gig by a performer you’ve never heard of before in your local area (by all means check them out on YouTube first) and GO AND SEE THEM. Take a risk. It could change your life. This entry was posted in Behind the scenes, Community news & views, Events. Bookmark the permalink.